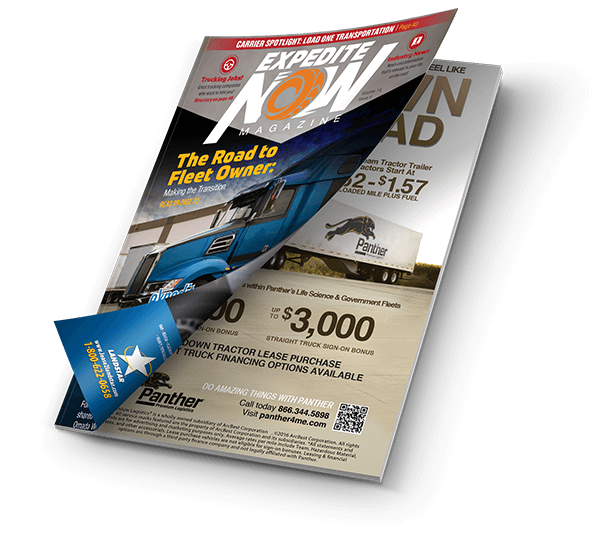 America’s largest trucking show for expediters, the Expedite Expo will be held July 25th and 26th at the Roberts Convention Centre in Wilmington Ohio, I-71 at Exit 50 (rt. 68). The show times for both days are 9:00 AM – 4:00 PM EDT. Expedite Expo provides a weekend of family fun, learning and networking for all who are interested in expediting, already in the field or interested in trucks. Admission and parking are free! Register to attend at expediteexpo.com. This year the Expedite Expo is proud to have scheduled Ann Ferro director of the FMCSA as a featured speaker. Ms. Ferro will be speaking on subjects such as crash accountability, time weighting, and the 30-minute and 34-hour restart rules in the Hours of Service. After Ms. Ferro’s talk, she will conduct a question and answer session to address attendees’ questions and concerns. Many of our workshops this year are transforming into live forums, with panels of industry professionals with hands-on experience who, in plain language, present to you the information you need to be a success in this business. They will be answering questions from the audience to help you to get those answers you need to make well-informed decisions. Friday at 2:00 pm we will offer a speed networking session called Growing Your Business Through Networking. This session is for trucking companies ONLY. At ordinary networking events the focus is on building relationships and getting to know each other in a relaxed and informal setting. This event is guaranteed that you will meet and talk to at least 25 new contacts within one hour. It’s fast, energetic, and amazingly effective! The idea is that within a few minutes of talking to someone you will be able to work out whether it is possible to do business with that person. This makes it a very efficient form of business networking. On Saturday, Women in Trucking will have a session at 12:00 pm and our 2:00 pm session will answer the question “What is VOI?” Our final session of the day will offer a panel to help you with How to Be a Healthy Trucker; they will talk about physical and mental health issues. There will be plenty of fun to go around with Expo entertainment including a performance each day at 2:00 pm by Jungle Jack Hanna’s troupe featuring animals from the Columbus Zoo. If that weren’t enough, on Saturday at 11:00 am, Phonic Uproar, an A Cappella singing group, will be sharing their talents. These events occur at the FedEx booth C3. Fun abounds throughout the Expedite Expo. Starting off the Expo both mornings, a PJ walk is conducted for those who wish for some exercise to get them loosened up for the rest of the day. In conjunction with the Expo, The All American Antique Truck Show gives folks a look at the trucks of yesterday. Registration and parking are free for the truck shows. Friday evening, join us at 7:00 pm for Casino Night sponsored by CIS. There is no cost to play, and you can win some fabulous prizes! The fun continues after Casino Night at the Party on the Patio sponsored by SmartTruck. The 2014 CIS Drivers’ Choice Award will recognize the best of the expedited trucking industry’s best – with Expo attendees as the judges. Attendees can vote for their favorite truck. This ballot is also your chance to win one of the two $1000 cash prizes presented Friday and Saturday, at 4:00 pm each day. The Drivers’ Choice Award will be presented to the winning truck at 4:00 pm Saturday, July 26, at the close of Expo. We are teaming up with Truckers United for Charities this year. Dinner will begin at 5:00pm on Saturday following the close of the Expo. Join us for a chance to kick back, relax, eat and recap the expo. Did we mention there will be food? Registration is Free! Truck, RV and car parking is free! Avoid the lines: CLICK HERE to pre-register online.